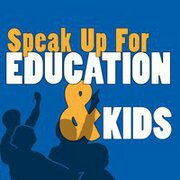 National Education Association | Diary of a Public School Teacher! It’s funny, but teaching is a profession where it seems that everyone’s opinion is important, except the teachers. It almost seems as if our opinion, our knowledge, our experience, doesn’t really matter. We need to be heard. We need to have a voice. We need a place where teachers can share and discuss all things education. EdVoices was created by NEA (National Education Association) to be a site where “bloggers committed to improving public education” share fresh viewpoints on all things education. Their blog categories include Classroom Management,Education Technology, Education Policy,Lily’s Blackboard, and an “Around the Web” section that includes education blogs from, of course, all around the web. As of today, I will post blogs from time to time on EdVoices. Check out my introductory post, I am that ‘ordinary” teacher! I’m really excited about adding my voice to EdVoices!